Is your product page actually selling your product or turning buyers away? There’s a problem with most product pages, and product descriptions. They only describe the product, and don’t actually sell it. Your product page is a sales page. And like every effective sales page, it needs to engage your buyers, get them interested in your product, convince them of its need, make them dream about using it, and, above all, make them click the ‘buy now’ button. Is your product page doing any of that? If not, here’s how you can change your boring product pages and descriptions into persuasive and high conversion buyer magnets. Every sales process starts by actually knowing your buyer first. Do you know who you’re selling to and what they’re looking for? Your buyers are real people with real problems. They buy products to fulfill needs and solve problems. Without knowing their needs, financial limitations, preferences, interests etc. you cannot create targeted and focused product descriptions. This is why you need to create a buyer persona. A buyer persona is a sample profile of your ideal buyer. He’s an imaginary customer that you want to target. Everything that goes into your business should be focused on delivering value to this ideal buyer. An accurate buyer persona will make your product descriptions focused and targeted towards your ideal buyer, significantly increasing the conversion rates. Most product descriptions are plain, dry and boring passages about the different features of a product. They sound like typical faceless and voiceless corporations that have no connection with their customers. By having a unique tone of voice, not only can you connect at a closer level with your customers, but also stand out from your voiceless competitors. Instead of writing in a third person tone, talk directly with your buyers by adopting a conversational tone. Add humor, use examples and be personal. Make your buyers feel, with your tone of voice, that you’re always available for help and are fun to deal with. The tone of voice you adopt should be consistent across all your brand assets. It’s a part of your brand identity and should equally reflect in your product descriptions as well. Most eCommerce companies are so obsessed with their product that they completely forget to highlight the reasons why a buyer should purchase it. People don’t care about the features of your product. They’re concerned with the actual value and the benefits that your product gives them. When writing product descriptions, don’t just list your product features. Instead, connect each feature with a benefit of your product. 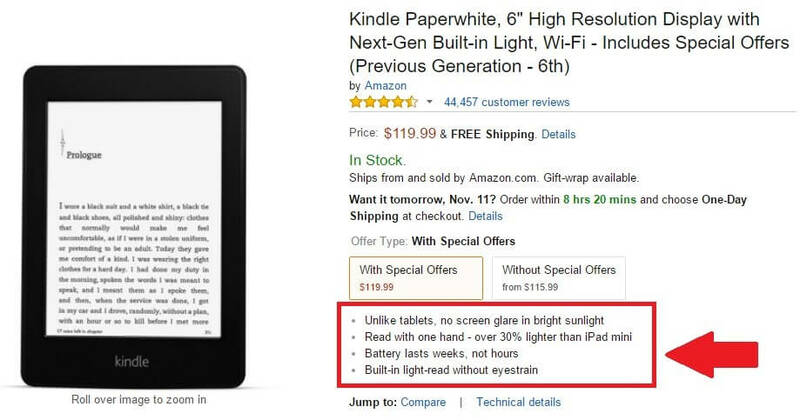 For example, look how the features and benefits of Amazon Kindle are connected in this product description. This simple change of mindset will make your product descriptions much more convincing and powerful. One of biggest drawbacks of purchasing things online, from a customer’s point of view, is that they can’t touch and feel the product. This makes the customers extra cautious while making a purchase. To counter this, you need to make them feel comfortable by using multiple high definition images of your product from different angles. For example, customers at Made.com can see their products from 7-8 angles and in different forms. Think about how a customer would examine your product in the real world. Give him all of those angles in your product pictures. Give context to your images, show them real people using your product and make them imagine using it themselves. Even better, add videos to your product descriptions and remove any doubts in your customer’s mind about your product. Research shows that people are 64-80% more likely to purchase after seeing a product video. There are certain words and adjectives that most of us use to describe things that we like. Unfortunately, research shows that many of those words actually reduce the credibility of our claims. For example, when you say your product is ‘great’, you’re actually telling the customer that you have nothing specific to say about your product. Everyone calls their product great, fantastic, amazing, effective etc. These are invisible words and they don’t really mean anything. Make sure whenever you use such words, you back your claim with a very specific and solid reason for it. Even then, don’t overuse them. Research shows that internet users read roughly 40% of a piece of content closely. They skim through the rest of it, looking for the keywords of their interest. 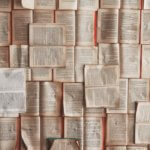 If you write your product descriptions as one large wall of content, your reader will find it hard to skim through it. This will increase the probability of them not reading your product descriptions at all. It’s your job to highlight the key selling points of your product and make it easier for your buyers to skim through the descriptions. For this, use a smart combination of headings, subheadings, bold, italics and underlines. Instead of writing everything in the same paragraph, break down your content into 2-3 line paragraphs, and include bullet points in between. Adding social proof to your product page can increase its effectiveness significantly. People feel more comfortable purchasing products that their friends, family or others like them have also bought. It adds an extra sense of security knowing that someone is already using a product and is satisfied with it. There are several things you can do to demonstrate social proof of your product’s popularity. You can display customer reviews and ratings. You can add customer testimonials to the product page. You can mention any press coverage your product has attracted. You can tell buyers which colors or features of your product are the most popular among your customers. Here’s a really creative way to demonstrate social proof. 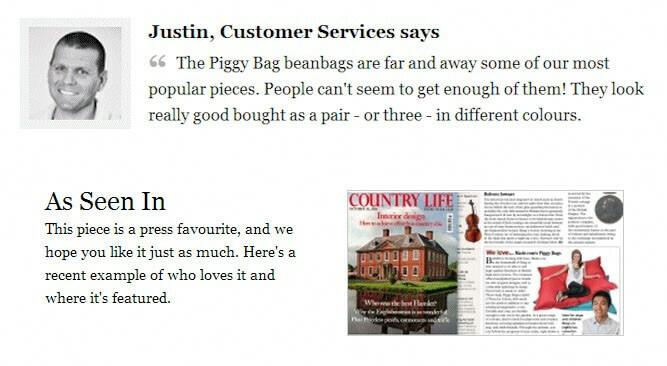 In this snapshot, instead of displaying customer testimonials, Made.com highlighted their most popular product and backed their claim by displaying some of the press coverage their product has received. Search engines are the biggest source of traffic for eCommerce websites. 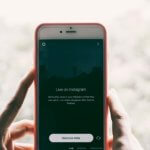 Without a steady stream of traffic from Google and other search engines, you’d struggle to attract visitors and convert them into buyers. So you need to make sure that your product descriptions are not only engaging for the readers, but are also optimized for search engines. Before writing any product description, conduct extensive keyword research and identity the terminologies that your buyers are using to search your product. Avoid using unnecessary jargon and technical terminologies that are not commonly used by your prospective customers. 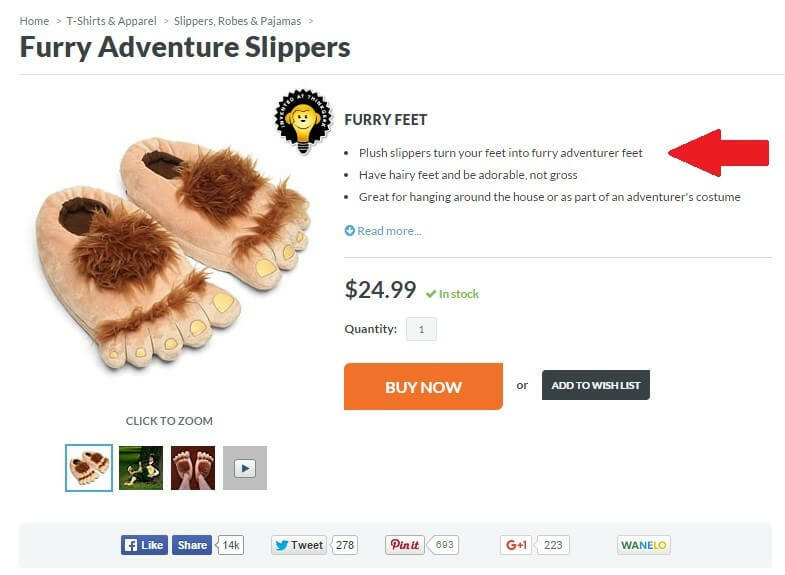 To learn more about this, here’s a detailed guide for optimizing ecommerce product pages. Writing high conversion product descriptions is not as difficult or complex as you may think. When you sit down to write, make sure you know who your buyer is, how your product benefits him and why he should spend money on it. Be specific, but engaging. Personal, but informative. Tell your buyer everything he wants to know, and make it easier for him to make the purchase. The more value you provide in your product descriptions, the higher your chances of converting one time visitors into lifetime buyers.